Laura Saltman is truly doing God’s work: I watch the HBO GO Interactive Features for Game of Thrones every week hoping to score some Joe Dempsie. Well, finally, someone decided to discuss Gendry…and it was Access Hollywood. Points must be deducted for good ol’ Laura not knowing about shipping. Entertainment is your job, lady. Sighhhh. Did anyone else think that Game of Thrones followed by Mad Men would be an unstoppable tour de force on Sunday night? Er…last night, things sort of converged to disprove this belief. Of course, Game of Thrones was amazing. It also unintentionally catered to my favor by including a super awesome Petyr Baelish scene with Cersei and by making Gendry the focal point of its typical, episode-closing cliffhanger. So while I was reeling from that I had to switch on AMC and adjust to life in the 1966 world of Mad Men. Unfortunately, it was a rather dull episode and my thoughts often wandered back to GoT. Hopefully Mad Men will bring its A game next week and my fears that a GoT/Mad Men pairing really isn’t ideal will be quelled. Regardless, GoT left me with a lot to think about this week as I eagerly await next Sunday. The hour barely gave us enough time to check in with all the characters before the episode was over BUT it more than satisfied my expectations. 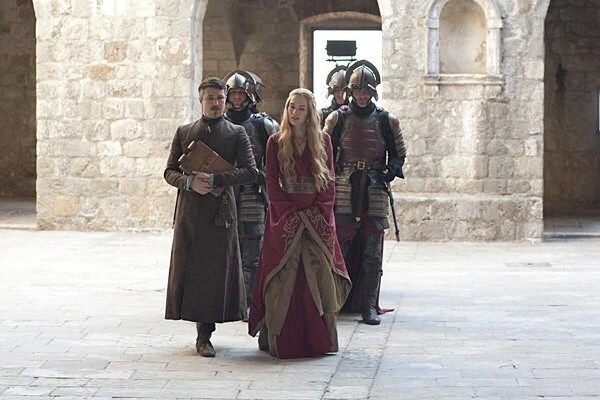 I got two Littlefinger scenes, the first being in the Small Council and the latter being his epic confrontation with Cersei that ended with her proving the argument that “Power is power” rather than the Master of Coin’s argument that “knowledge is power.” Then I got to check in, briefly, with Ser Jorah Mormont over in The Red Waste as Daenerys continued to listen to his sage, dragon counsel (basically whatever your decision, you will be killed for your dragons). Now I would be lying if I said that I didn’t spend every scene hoping the next would lead into one with Arya (and by association, Gendry). The episode gave away tease after tease by continuously name-dropping Arya, and with all the intrigue over her whereabouts I thought for sure a cutaway to her was coming. But no, GoT was waiting to throw me into a complete tizzy. By the time I realized that the scene with Lord Baelish’s whorehouse was leading into Janos Slynt’s hunt for Robert’s bastards, my brain was screaming Gendry at the screen. And then the cliffhanger of the show actually ended with the reveal of Gendry (with Arya) on the Kings Road. I am perhaps most excited by the idea that the show places as much importance on Gendry as I do when I am reading the books. And if I had an end game in mind of the books, it would be Gendry on the throne at King’s Landing and Jon Snow as Lord of Winterfell. 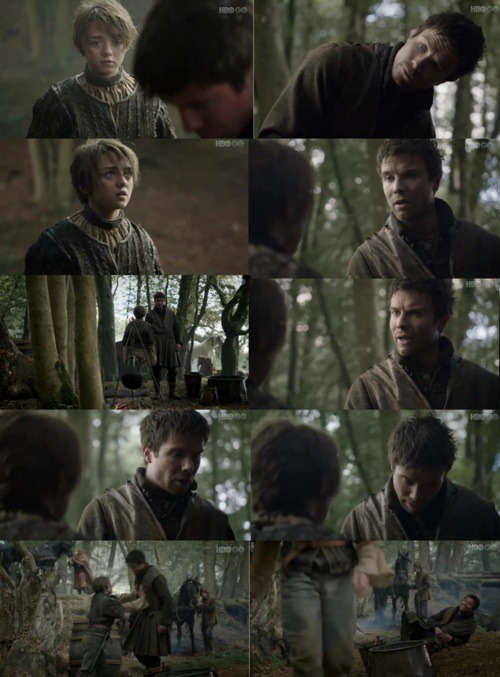 But with so many claimants to the throne, Gendry really is only one of many who may inherit. At Joffrey’s name day celebration, (with the main attraction being duels to the death, naturally) we met Ser Dontos, the drunken fool, cleverly saved by Sansa’s machinations. The mere presence of Dontos, the Hound, and Tyrion in one scene all lined up to hint at the (MANY!) future “suitors” of Sansa. Oh Theon. Does anyone remember Aaron Ashmore on Veronica Mars as Troy? He legit broke my heart. I thought he was the perfect romantic/interest for Veronica and he was actually a terrible person. This is how I prematurely feel about the television incarnation of Theon. I want to intervene somehow, give him a hug, and make him realize that Robb loves him. And that the Greyjoy clan back on the Iron Islands is absolutely terrible; being Ned Stark’s ward was the best thing that could have ever happened to him. That boy was straight trouble...Veronica and I were so duped. 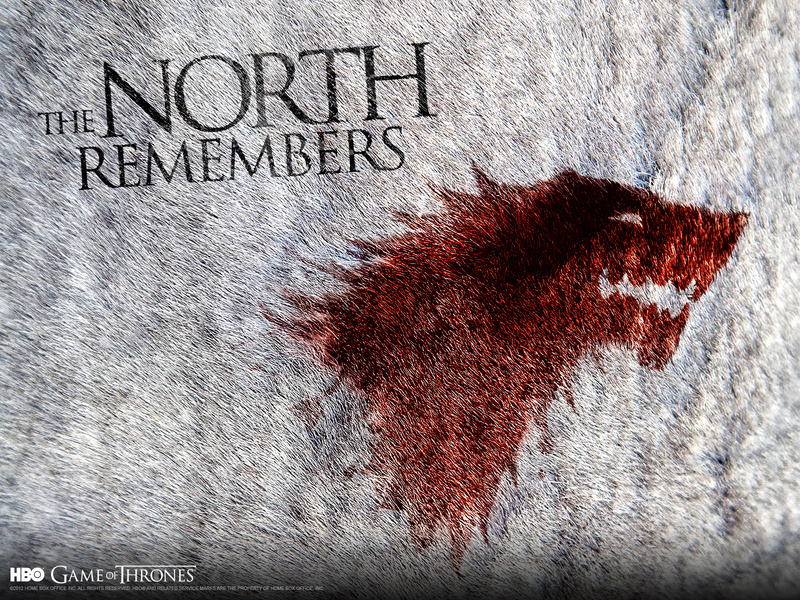 This post was going to be titled “The North Remembers and a Clash of Kings Begins” but to be truthful, the most appropriate title would be GENDRY GENDRY GENDRY….so I decided on a compromise. This is a really interesting instance (in the realm of GoT) where one of my favorite characters from the books is being played by an actor I already liked in the real world, Joe Dempsie. (For example, Littlefinger may be my favorite character, but Aidan Gillen playing his part was what ignited my interest in the show, and the books. I like Jon Snow but Kit Harington appeared out of a puff of smoke to play him). So in between Joe Dempsie’s character, Chris, on Skins being my favorite, my freakout at his brief appearance in the season one finale of GoT, and watching The Fades a few months back…my fandom for Joe Dempsie and my love of the character of Gendry have super combined to create…obsession. He appeared for 5 seconds last night and I flipped. Skins friends/time for a GoT spinoff where Gilly and Gendry go on the run together. I thought I was seeing things at first but nope, it was Hannah Murray from the same Skins generation as Joe Dempsie playing Gilly. This is episode 2. I can probably die happy after this scene unfolds.